What Are Medical Record Labels? Medical record labels help the administrative staff organize and identify patient and internal paperwork for accurate and prompt processing. Health systems, hospitals, clinics, physicians and more use medical record labels to retrieve patient information and maintain compliance. Medical record labels are used to communicate important information and alerts in patient charts. They identify a patient’s account, document the patient’s wishes regarding health care, maintain privacy and confidentiality, provide insurance and billing details and more. United Ad Label medical record labels contain bright colors and bold text to ensure they get noticed. Our different styles and messages fit dozens of different applications including bilingual communications. 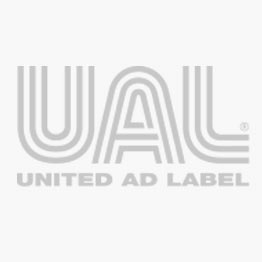 UAL medical record labels are in stock and available for immediate shipment. Account Identification Label, 1-5/8" x 7/8"